Are you familiar with the saying: Cherry on top? Well, we believe more in the saying: Cherry TREE on top. Cherished Elegance is for those of you that want to make an impression. That need to make an impression. 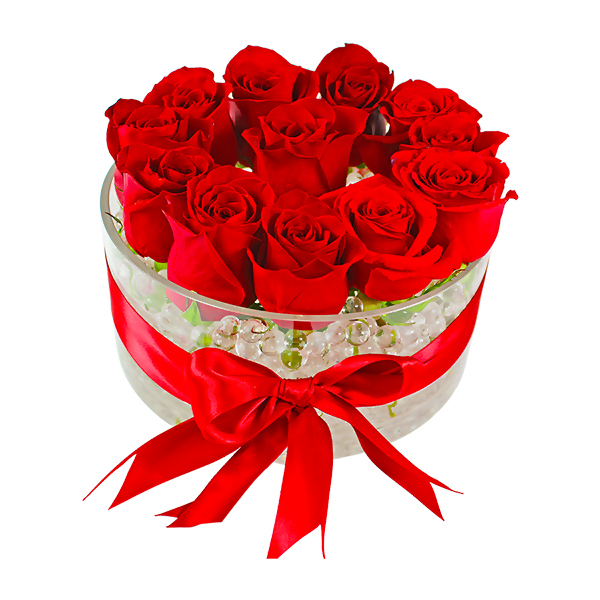 This beautiful arrangement of a dozen Red Roses delicately resting on a bed of beads can be yours today. Order now and receive a bow to tie everything together, before it's too late.